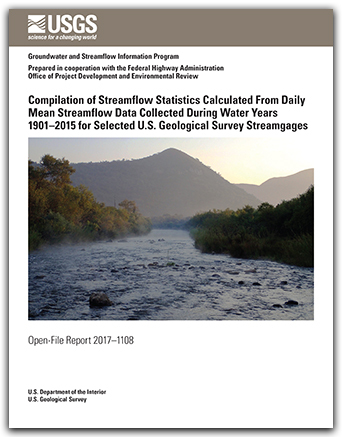 The best starting point for USGS streamflow data is the interactive National Water Information System (NWIS): Mapper website. Zoom in to your area of interest or use the search options in the left navigation window. 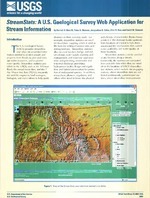 The map displays active surface-water sites by default, but you can change the type of water site (surface-water, groundwater, springs, atmospheric) in the left menu. 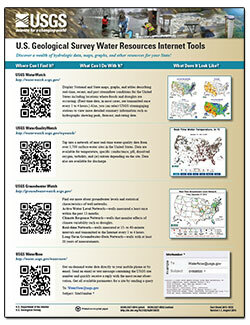 The USGS Water Data Discovery website is another good starting point. 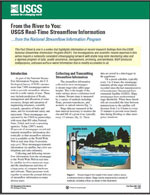 If you are unable to find the information that you need, contact the USGS Water Science Center for that state. USGS Oklahoma Water Science Center Hydrologic Technician Rick Hanlon prepares to conduct a streamflow measurement off of a bridge over the North Canadian River near Oklahoma City. A hydrologic technician measures streamflow in the St. Joe River at Red Ives Ranger Station in northern Idaho.